Entering the CDT Gateway to the Rocky Mountains. This 93 mile section of extremes were on full display in this New Mexico landscape: from the colorful, rocky cliffs and towers of the Ghost Ranch area to the high alpine mountains that were holding some snow above 10,000 feet, even lower in some places. 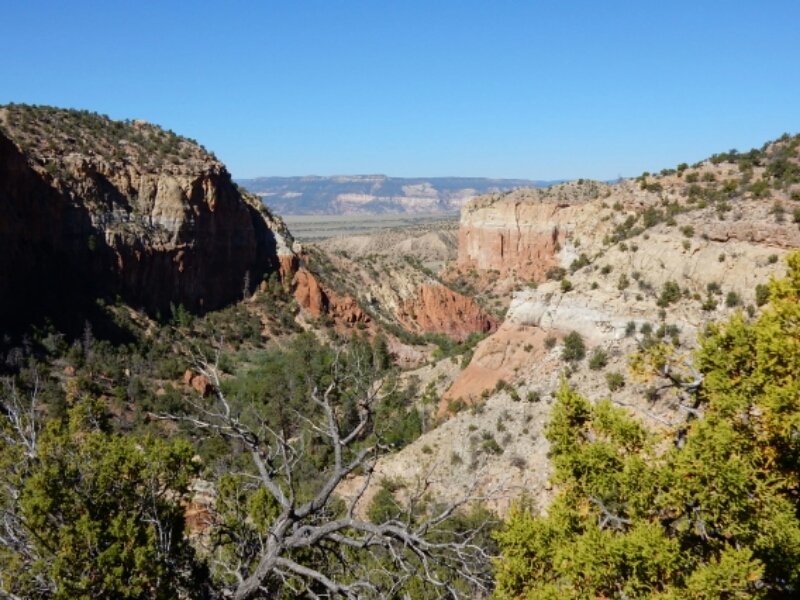 Visually, hiking into a box canyon just outside of Ghost Ranch was a treat, but the climb out of the desert on May 22 meant I would be very tired when I reached camp along a windswept ridgetop. When I struggled to stake down my lightweight tent in the wind it was Simone and Emma who helped me out. The fatigue I experienced after climbing 3,500 feet out of Ghost Ranch began to concern me again. 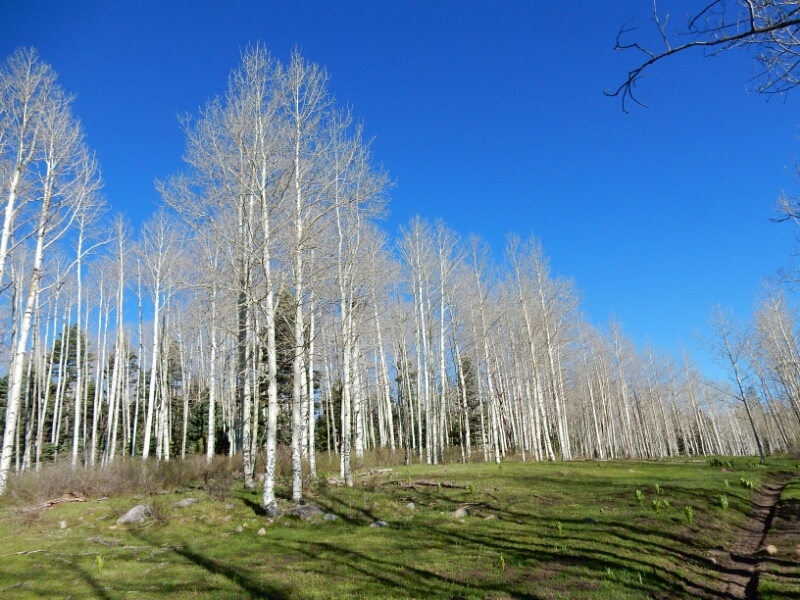 I continued to climb higher on the second day of this section, and I enjoyed the large stands of aspen trees, a sign that Colorado was near. 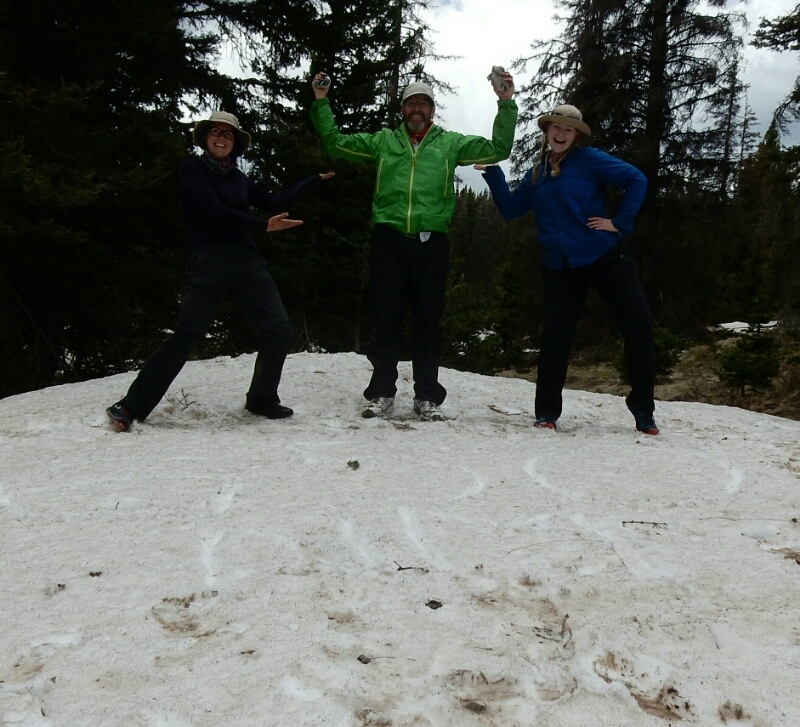 The CDT entered an area known as Tierra Amarilla that extended above 10,000 feet with forest cover that was dense enough to hold snow. In those areas I was checking the GPS map to assure myself that I was close to the CDT route. Along a snowy Creekside I even considering fording the knee-deep water to take a snow-free route on the opposite side, but I was persuaded that it was a bad idea after sinking up to my hips in the soft snow. “What about all this snow?.” Hiking forward out of the forest and into a broad, open meadow gave me a good perspective of the conditions. 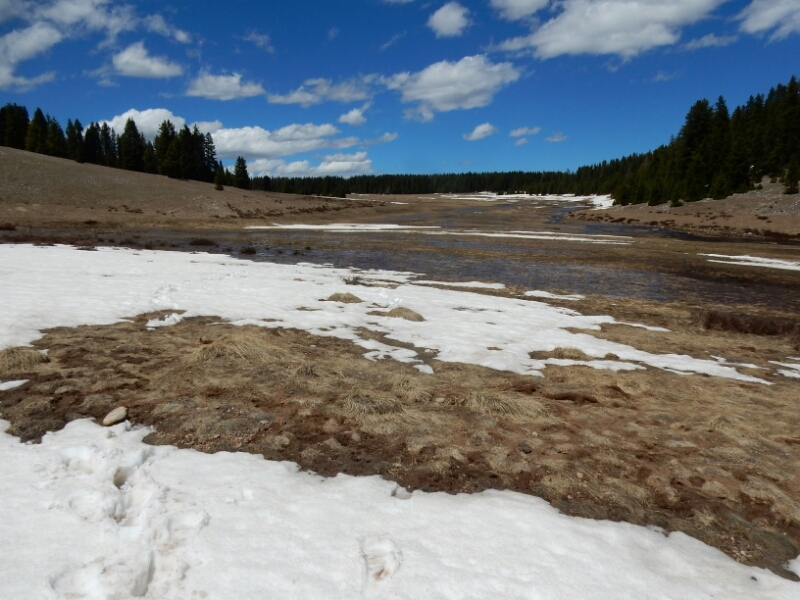 The snow was melting fast in the meadows where tree cover was not obscuring the warming sun, and the resulting snow-melt water was draining into the boggy lowlands of the meadows. Wet shoes and feet! 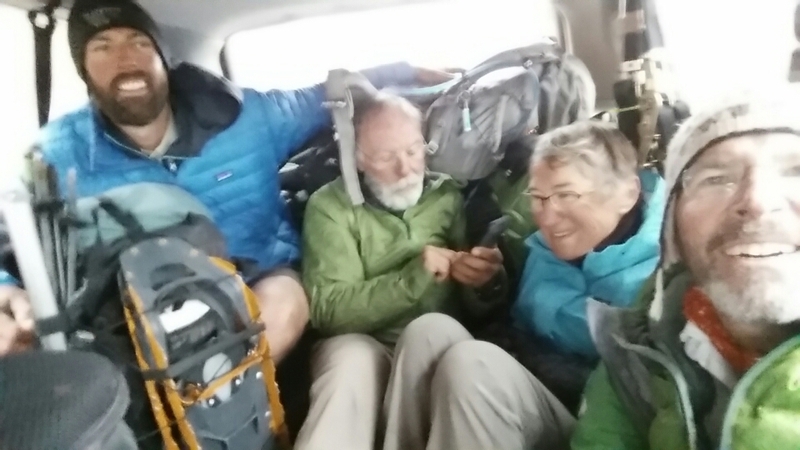 Hours after leaving the boggy meadows the CDT moved back onto an unpaved road, and my progress improved until around 7 pm when I was determined to catch up to the Portland Mafia guys, Simone and Emma and camp with them. But my energy level was dissipating fast, and this fact was obvious when any small uphill climb reduced speed and increased the effort needed to keep up my pace. As the road crossed a meadow I heard the shouts of my friends from a nicely wooded along the edge of the meadow. I dropped my pack, quickly set up my sleeping pad and bag cowboy camp style, and joined the others who were already finishing their evening meals. Actually, I collapsed to the ground with my food and kitchen gear, and used the opportunity to ask for suggestions from my friends after I described what I thought was a nutritional deficit that caused the low-energy state I experienced. The good suggestions included sausage, pepperoni, Fritos, Nutella, Vitalyte. I vowed to add some of these to my food sack once I hike into Chama. On the morning of May 24 we knew of a creek, the Rio Vallecitos, that might be difficult to ford a couple of miles beyond the camp. The high level of creeks is not a surprise given the rapidly melting snow-melt. It was the first significant creek that I can recall since I forded the shallow, slow moving waters of the Gila River over 200 times weeks ago. When I arrived at the crossing several of the guys had already crossed. As I prepared to get my feet wet, I did what I always do when fording: visualize myself on the other side while stepping carefully across the rocky streambed within the cold, rushing water. This zen-like approach helps me focus safely step by step and ignore the numbing effect of icy water that had recently been un-melted snow. I happily hiked solo most of May 24, with a little more energy while reconciling my expectations to the reality of the CDT. 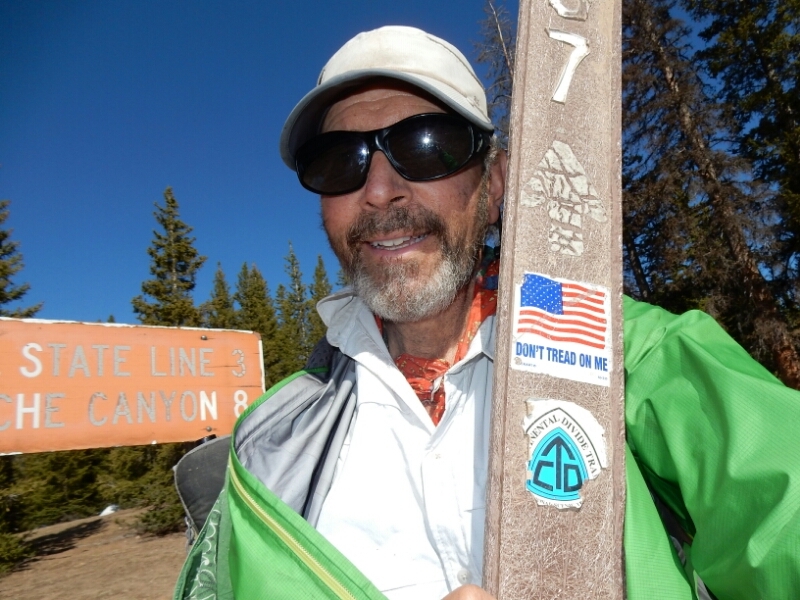 The northern New Mexico terrain demands a lot from a 62-year old hiker. Occasional easy stretches of road walking, with more wildlife, lead to long and sometimes steep uphill pitches over the 20 to 25 miles per day I am walking. Moreover, a toe on my left foot remains inflamed after jamming the bathroom door into the toenail while in the Lordsburg motel on Day 1. My right ankle is stiff and sometimes painful, probably the result of over-using the right foot to compensate for the painful left toe. Aspirin is my personal Vitamin A, and three or four per day helps immensely. In camp Allgood gave me a small supply of the natural anti-inflammatory Arnica. It helped, and I used the InReach satellite texting feature to ask Cindy to send me a supply to Chama, the next town. Her support is so valuable to me! 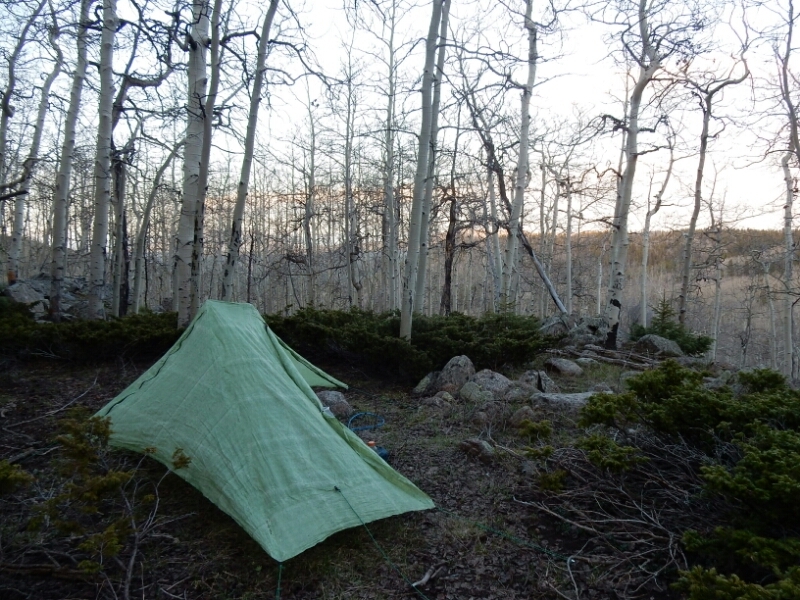 The next two campsites on May 24 and 25 were above 10,000 feet. There was much more snow in the area, although the CDT typically avoided most of it where it crossed vast open meadows where the sun had already melted it. On the morning of May 26 Simone, Emma and I started hiking together with the knowledge that the route would touch 11,000 feet. 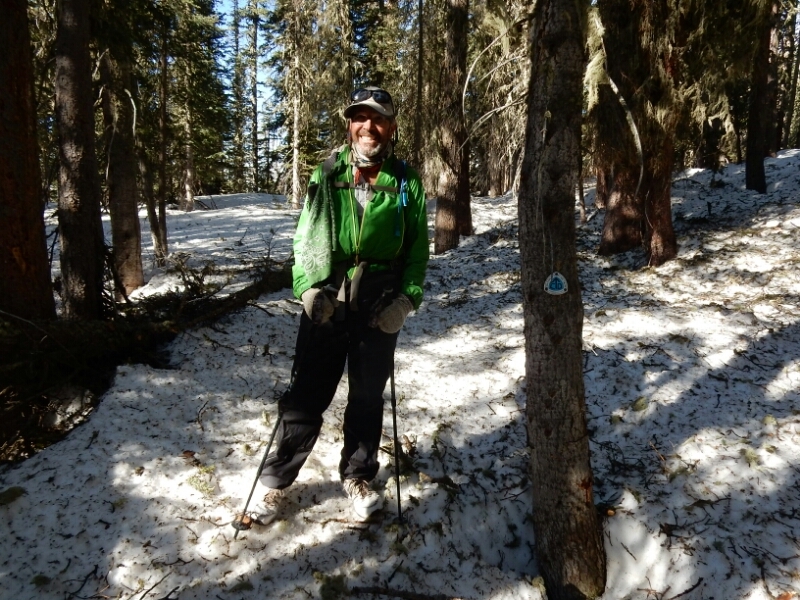 I wondered if navigation on snow would be a challenge because the route appeared to cut through tree-covered areas. This proved to be true. The New Balance walking shoes I wore were not made for snow-travel, but I found they performed better on snow than on the extremely slippery mud that was common in this section. 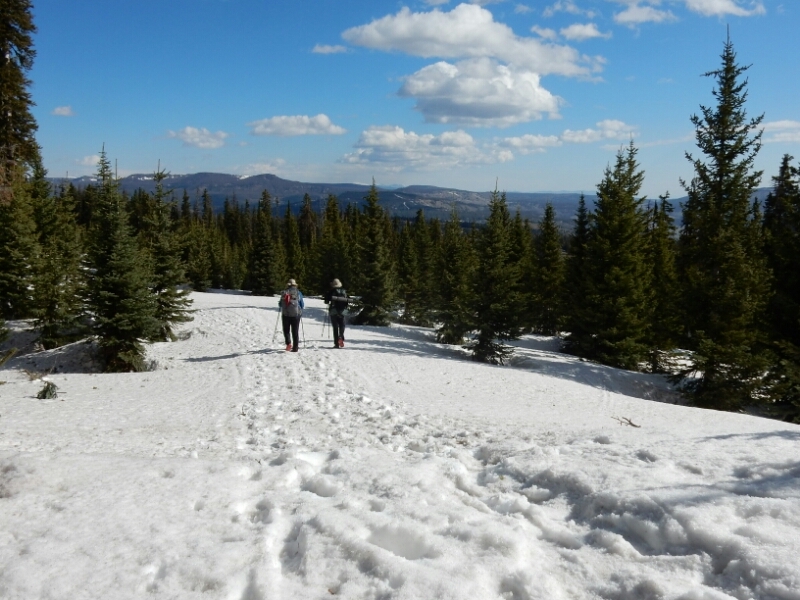 In the snow my feet were approaching numbness after sinking knee or thigh deep more than I would like into the softening snow on May 26, the day I expected to arrive at Cumbres Pass. There, Simone and I would hitchhike to Chama, and Emma planned to hitch a ride in the opposite direction and catch a bus to Denver where her boyfriend would arrive from England. Our progress on the snow-covered route was slow but deliberate. Both Simone and Emma were very good at staying close to the route while using the Guthook smartphone navigation app. I consulted the electronic map, tracks and waypoints loaded in my Garmin GPS. We could see the footprints left in the snow by Paul and Chantelle, and we made small changes in our direction to the least hazardous route through the dense tree cover. After a couple of hours of intense ambling we found a snow-free streamside where we filled water containers, took a short rest and checked our position. Our devices displayed the good news…we were just one quarter mile from the New Mexico / Colorado border! Better yet, Emma suggested we ignore the snow-covered trail and take a snow-free cross-country route to the border. Within minutes we found a fallen trail sign that seemed to indicate the border. 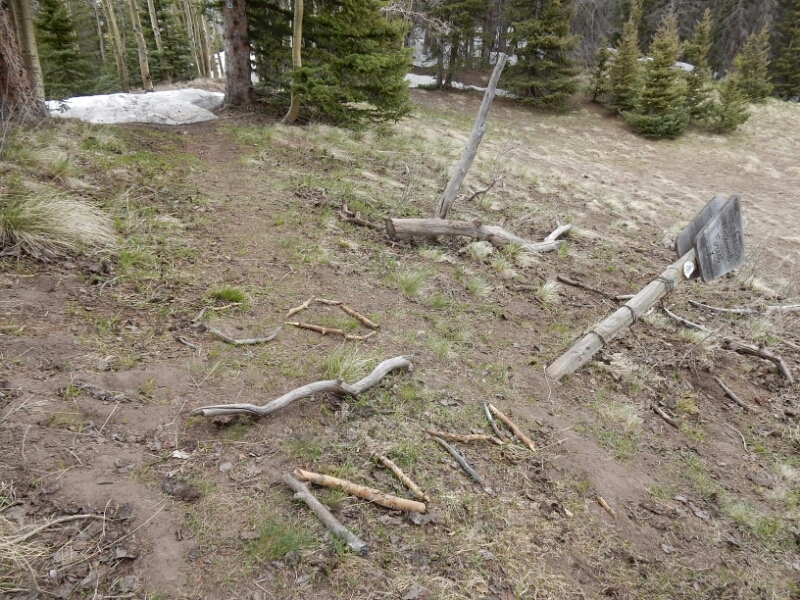 “CO | NM” was creatively constructed by other hikers with sticks placed on the ground, and this was enough proof that Simone, Emma and I had at least completed the first state on this CDT journey! High wind and light, blowing snow buffeted me just before arriving on the highway at Cumbres Pass. With the darkening sky above, and I had that familiar thought, “timing is everything.” Paul and Chantelle, who were hiking nearby the past several days at the same pace as I were already waiting for a ride, Emma quickly got a ride from a former CDT hiker driving in her intended direction, and a new guy, Houdini, was waiting for a ride to Chama. Houdini had hiked northbound from here, Cumbres Pass, but turned around after two days of very slow progress in the snow. He had deemed the very section I would hike next to be too hazardous to reach Wolf Creek Pass, the end-point about 65 miles north. TO BE CONTINUED! Highest elevation: 11080’ on Day 39. Just doing a little research for my upcoming Cuba to Winds hike, thanks for the details, very helpful. And you seem to be killing it, way to go! Congrats on climbing out of NM on two compromised feet! So gratifying to see those New Balance shoes performing better than expected in the snow. I feel vicariously attached to them for some reason (maybe because I threw my hiking boots away after first day on the Chilcoot in ’98 and did the rest wearing Chaco sandals). Once the toe heals I predict no more foot problems… give it a long enough break and then forge on (with encouragement from all of us and especially from yr cheerleading supply mgr.). 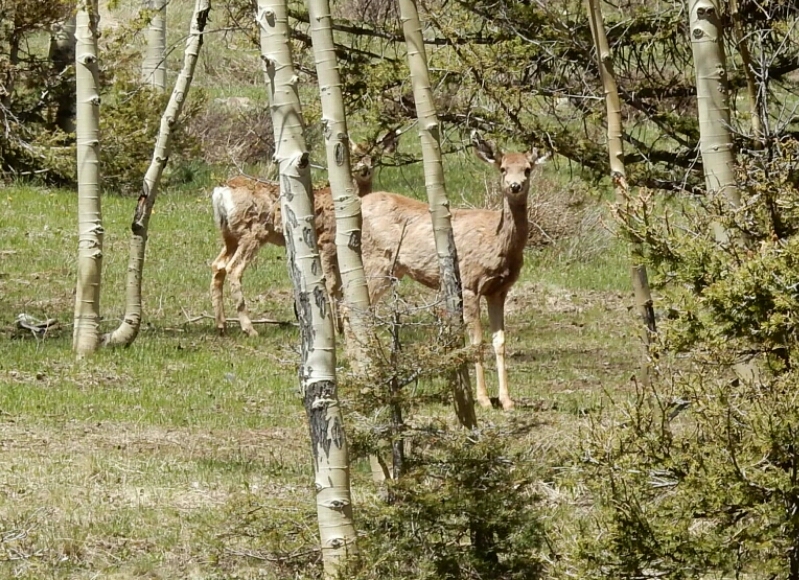 My next post will describe my new hiking partners and when I am heading northbound from Chama. Roger – You are meeting the challenges of the CDT with strength, determination, skill and honesty. You have my admiration. Keep up the good work! 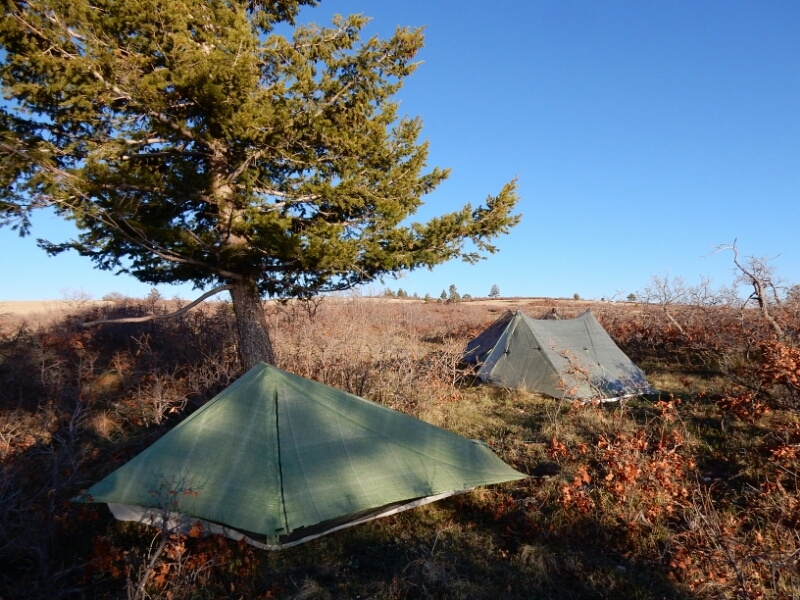 I am enjoying your blog and photos – its a great to have a sense of the beauty and wildness of the CDT. Thanks for sharing. Your doing great and we are enjoying your updates. Ann is so jealous of you and would love to be out there right now. For that matter I would too. If you see Houdini again tell him that The Raven say hi. 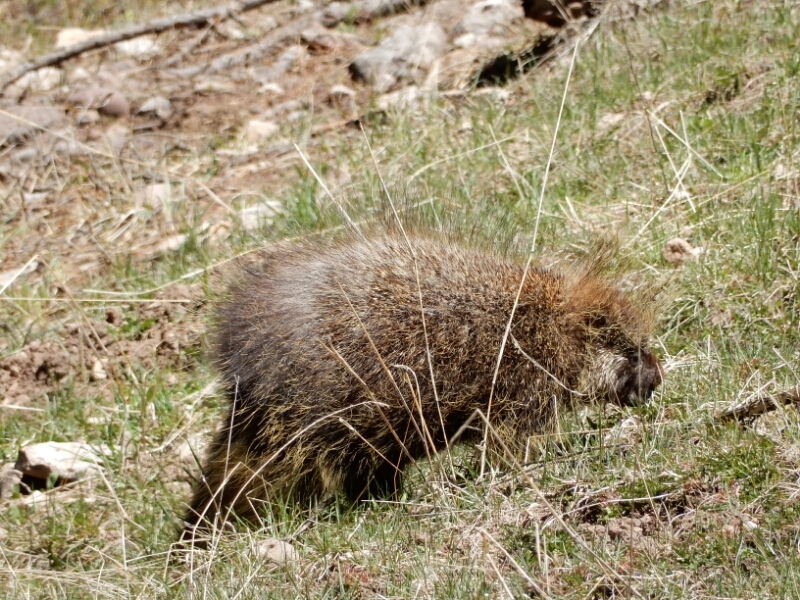 We bumped into several times last year on the PCT. Great job Roger. Keep the faith. Lynn is in Calgary visiting Maddie. Great story Roger! I hope the toe and ankle improve. Keep up the good work! Great to hear from you Roger. Sounds like you’re meeting the challenges and the challenges are pretty rough. Glad you have some fellow hikers to share the experience. Wishing you The best. Thanks for being such an inspiration.